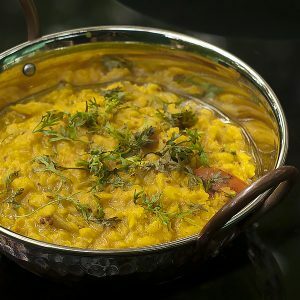 The Masoor Dal Recipe is a red lentil recipe a popular and flavorful Goan dal curry from the tropical paradise in India. This easy dal recipe is a one-pot dish, flavorful, satisfying and healthy at the same time. You can prepare the vegan, gluten-free, nut-free, lightly spiced Indian lentil dal curry within 20 minutes. Read further below how to make this masoor dal recipe easily! Masoor Dal (or dahl) is a lentil variety. The brown full masoor lentils are peeled and split. The result are the red masoor lentils. Today we will focus on the red masoor lentil variety to make this curry dish. 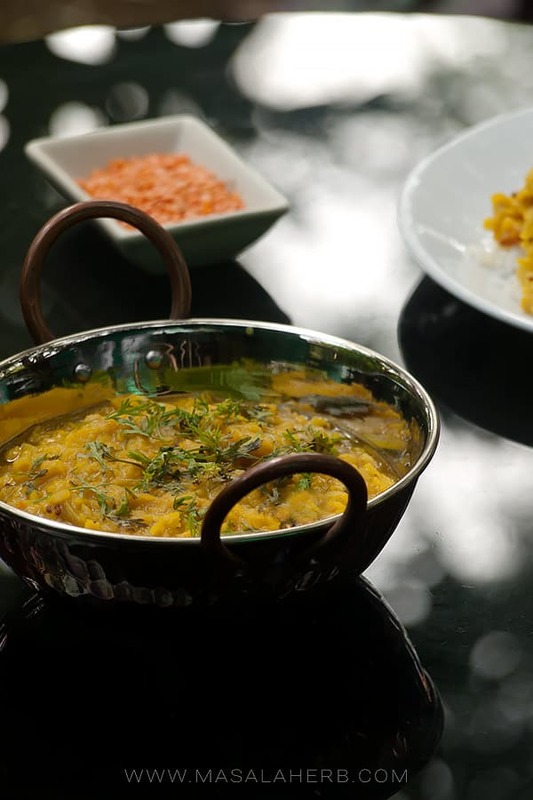 The curry dish is also known as a masoor dal. Why is this Masoor Dal Recipe different? The red lentils Recipe is my mother in laws recipe, she is Goan and her father was a chef in an international hotel in Mombassa Kenya before the civil unrests started back in the 60s. Lentil dal is a very healthy, low sodium plant-based dish which is very flavorful and only lightly spiced as well. It’s suitable for most people. The Indian lentil curry Recipe is quickly prepared and easy at the same time because the red lentils are quickly soft during the cooking process. So this Masoor dal recipe will be ready in less than 20 mins and then too from scratch with fresh ingredients! Because the Masoor Dal is a Goan dal it is different to other Indian dals. India is known for its various lentil dishes, called Dal, and Goa is not an exception, however, Goa is a former Portuguese colony. You can taste the cultural influence in this Goan dahl recipe. It can’t be compared to a regular dal tadka or other Indian dal recipes. Besides the Goan masoor dal recipe is a satisfying vegan, gluten-free and nut-free Indian red lentil curry recipe. The curry is lightly spiced so it’s suited for all kinds of taste preferences. How to make and cook masoor dal? Masoor dal is the easiest lentil variety to cook. Why? Because these masoor red lentils are split so that means they will cook faster. Also, you will be able to digest them easily since the fiber content is less in the red lentils compared to other lentil varieties. So, what you need to do to accelerate your cooking, even more, is to keep the indian lentil dal to soak for 30 minutes in water before cooking the lentils. This will soften the red lentils and they will cook way faster! On average if kept to soak, masoor dal takes about 10-15 minutes cooking time only to get soft. That’s quite amazing, don’t you think? That means we will be able to enjoy red lentil recipes all the more in the future! Even if you don’t keep the lentils to soak, the red split lentils will cook faster than most other lentil varieties. So if you forgot to keep your lentils to soak and you are tight on time, then just cook the dry lentils as described in the recipe further below and adjust the amount of water used by adding more if needed. Tip: When cooking any lentil or bean dish, add the black pepper to season at the end of the cooking process when the lentils are soft. Lentils tend to take longer to soften while cooking when black pepper is added to the pot before the beans/lentils are soft. What do you call Masoor Dal in English? 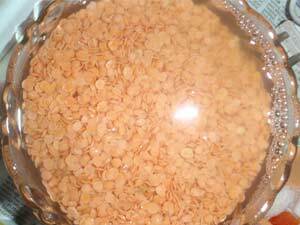 Masoor Dal in English is also known as Split Red (or also called orange) Lentil. Otherwise, Masoor Dal is the common name for these split lentils. Is Masoor dal good for babies? Yes! Masoor dal split (red/orange lentils) are easily digested and these lentils contain less fiber than other lentil varieties which makes them easier to digest. Perfect for small babies of +9 months of age. Reduce the spices and omit the chili and puree the red lentils for baby consumption. Indian babies are given spicy food too, so you can try feeding your baby with a very low amount of spice such as turmeric and coriander. Can you eat uncooked/raw lentils? No, you can not eat uncooked raw lentils, except if the lentils have sprouted. Raw lentils are like raw potatoes when eaten raw, they need to be cooked or they are poisonous to our system. A quick and flavorful spiced Goan Masoor Dal Recipe. Make this healthy red lentil curry easily at home. It's comforting and one of my favorite food dishes. Takes about 20 mins to prepare this red Indian dal recipe from scratch. The one-pot red lentil recipe is gluten-free, vegan, nut-free and low sodium. A healthy protein-rich plant-based dish which makes a great weeknight dinner idea! You can keep the lentils to soak for 25 minutes. This accelerated the cooking and makes them tender. Then add the onion tomato and chili and cook for until everything turns a bit soft. Discard the water of the soaking lentils. Stir soaked lentils to the pot with the curry leaves and season with ginger garlic, tomato paste, turmeric powder, chili powder, and salt. Pour the water into the pot over all the ingredients and mix well. Cook on medium heat for 15 mins, stirring occasionally so that nothing burns on. If you feel your masoor dal needs more water, then just add a little more to adjust the curry consistency (sometimes depends on the quality and age of the lentils). The dish is ready when the lentils are cooked, but not mushy. For the Ginger + Garlic, use ginger garlic paste or chop 1/3 ginger and 2/3 garlic fine. Serve with chapati flatbread or rice and with vegetables and or fish/meat. 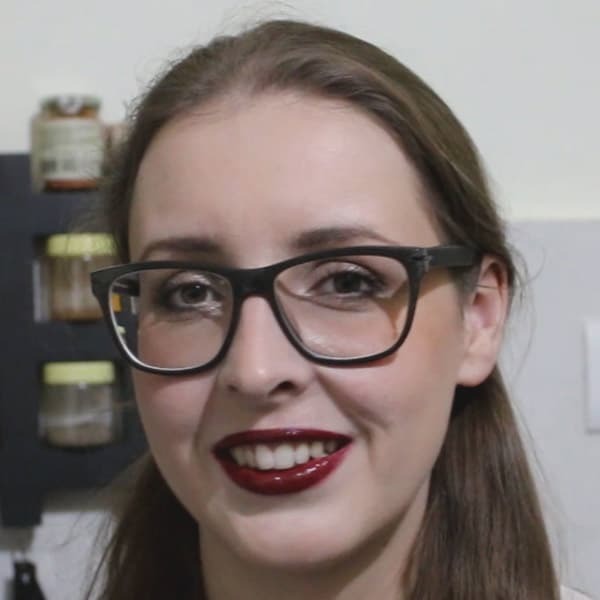 You need to use black mustard seeds (never the yellow mustard seeds) and add curry leaves (and not curry powder as its something completely different). Don't omit these ingredients, they make this curry amazing! The amount of chili is usually less in this Goan masoor dal recipe but you may increase the heat if you prefer it hot. How to serve the Masoor Dal? I mostly serve the dal curry with rice, some kind of veg bhaji (spiced Goan vegetable stir fry) and a homemade para fish. Something nobody will tell you but serving marinated para fish with Goan dal is the bomb! You can top the goan dal with some freshly chopped coriander at the end before serving. This gives the dish some texture and a convenient flavor. I usually tend to just make this Indian dal with some rice, but you can also pair it with bread or enjoy all the aroma shades of the red lentil recipe all by itself. 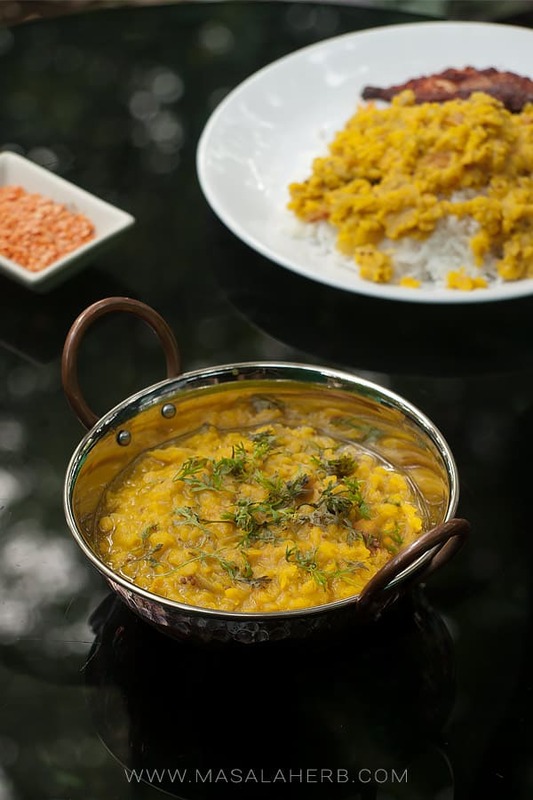 Dear Reader, have you ever tried the Goan Masoor Dal and if yes how did you like it? Please feel free to share your thoughts with us in a comment further below this post. The post, Masoor Dal was first published under Goan Dal Curry on the 12th August 2011 and has been updated and enhanced ever since. That lentil curry looks wonderful and mouthwatering! The kind of dish I love to eat and make. The lentil looks super delicious and comforting! I love daal of any kind and Goan version although I have never had it – looks truly delicious. I cringe when I look back at those early posts! And I’ll probably cringe in a few years (although not as much) when I look back at what I’m doing now — the more one writes or photographs, the better one becomes. Anyway, the recipe is perfection! No need to improve on that, it’s wonderful as is. Thanks for this. Well I think the same way. Most probably I will be looking down at my current posts and feel ashamed, haha! We should remember this and compare later. Thanks for letting me know Paula. Not sure what the problem could be with the pin it button on the pictures not working at times. I noticed that it did work earlier for me and somebody else but I had the same problem in the past. Not sure if that works but, if it happens to anybody, just clear your browser cache, that should fix it. Also you could use the social shares underneath each post. There you will find another pin it button where you can choose the picture to pin. Otherwise please let me know if there are any more problems happening in the website experience. Thank you! I can’t wait to try this out! Dal is definitely a favorite at our house, and we’re always looking for a new one to add to the rotation. 🙂 Hooray! It’s so alluring too no Ramona? I think all kids would love this. Ha, I thought the same thing when my mum would make the dark dal every Saturday for lunch. ^.^ The orange one is such a lovely lunch pickup. I have never tried Goan Dal, but this recipe is going to change that…quickly! I have cooked dhal for decades and am glad to have your Goan version as it is slightly different and will be trialled soon. I’ll shock you a tad: since I have not used butter [nor poisonous margarine] for a very long time, I actually cook the dhal to a slightly thicker consistency, place it in small ramekins, freeze and use one at a time for a substitute of butter on toast, pita, wraps etc. As long as flavoured a little more than for the hot version, it is absolutely delightful as fusion food 🙂 ! You know this is not going to shock my after what I have seen here at times. Dall is often made into a paste so to be used for fillings which btw is super delicious. In fact you have just given me an idea Eha. Thank you! G’day! 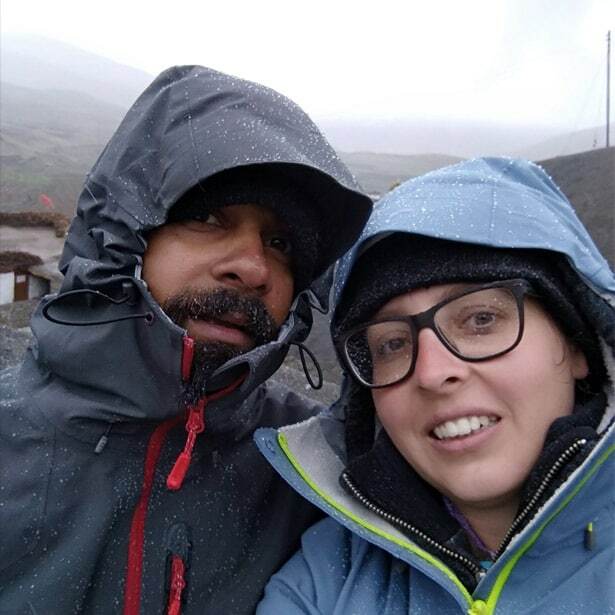 Your Goan Dhal recipe and photo looks lovely, true! Nice and warming, welcoming and a winter comfort food…love dhal too! Well the dal has for sure some autumn shades. =D Thank you Joanne for your lovely comment. I have some split fava beans. Do you think these might work with this recipe? There really is nothing to be ashamed of when it comes to our old posts and photos. I think they’re great because we can compare to the new ones and see our improvements. :) Your recipe still sounds scrumptious! Thanks for sharing, again, Helene. I can never believe you ever posted bad pictures. But these clicks are just outrageously good. Love them!! Love the dal. I was looking at my first posts today and thinking that I needed to retake a few of the pictures, and yes, the writing style does change. 🙂 No, I have never had Doan Dal. The story behind it is quite interesting and love the looks of it! Reading through the recipe, I can see it’s got lots and lots of flavor with all of the spices. Nice post Helene! Oh I believe you would love the dal, I mean it’s your kind of food choice no? A good dal dish is always lovely. Hm, it’s only quite difficult to get fresh curry leaves around here. I suppose the dried ones are no good. I was told by everyone in Goa that dried curry leafs are not good for dals. But I say if you have no other choice then just go for the dried curry leafs. I know how difficult it can be to find fresh curry leafs in the western world and I have used dried ones at my parents house before. The dal turns out differently if you keep the curry leafs completely out, in fact it takes away the essence of the dal flavors, so it’s required anyhow. Hi Helene, sorry I’ve been a bit absent recently – so much to do to prepare to move! I really love the look of this – it totally looks just like something you’d see in a restaurant, especially in that delightful little bowl! Isn’t it amazing how serving bowls can really make a difference? I love lentils in any format – curried though has to be my all time favourite though – I love the texture and “mouthfeel” they take on! I think most every blogger cringes when he or she reads those posts from the first months on the blog. I know I do! I love your blog – there’s always so much new stuff to learn. Hello! I just made this along with your red spinach stir fry (but wth normal spinach) and they were both DELICIOUS! There were many moans of appreciation from the husband too. I just wanted to say thanks for a wonderful meal – I am looking forward to exploring some more of your recipes! It’s strange that you need to soak the lentils, ours cook up very quickly. I adore the creamy texture of lentils and the spices in this curry sound amazing. Wishing you and yours a very happy 2017. Love red lentils! I’m with Eva — I rarely soak mine, either. But I should try it, and see if it makes a difference. Happy New Year! I haven’t soaked red lentils either but I’m going to try it when I follow your recipe. Are you back in Goa?? Hi, this may be interesting you: Masoor Dal Recipe - Goan Red Lentil Dal Curry!